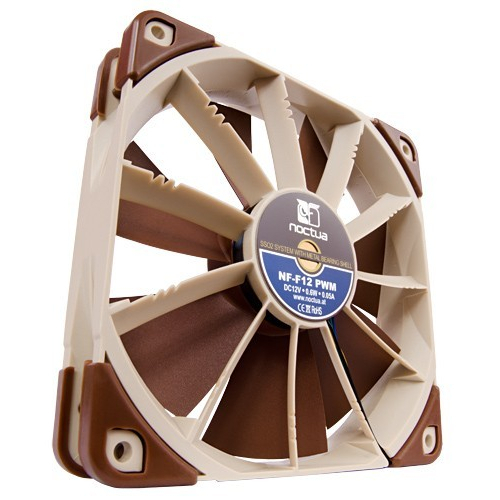 Teaming up eleven stator guide vanes with a specially conceived seven blade impeller, the NF-F12’s Focused Flow™ system creates outstanding staticpressure and focuses the airflow for superior performance on heatsinks and radiators. 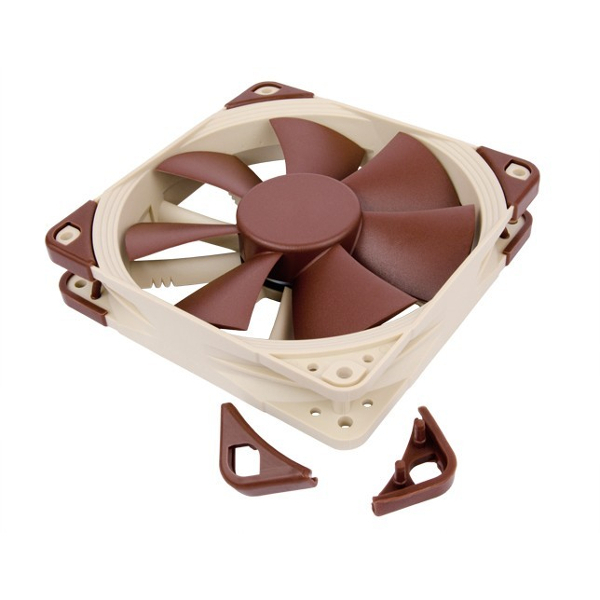 At the same time, a wide range ofadvanced aerodynamic design measures, second generation SSO-Bearing and Noctua’s new, custom designed PWM IC for fully automatic control guarantee astoundingquietness of operation. 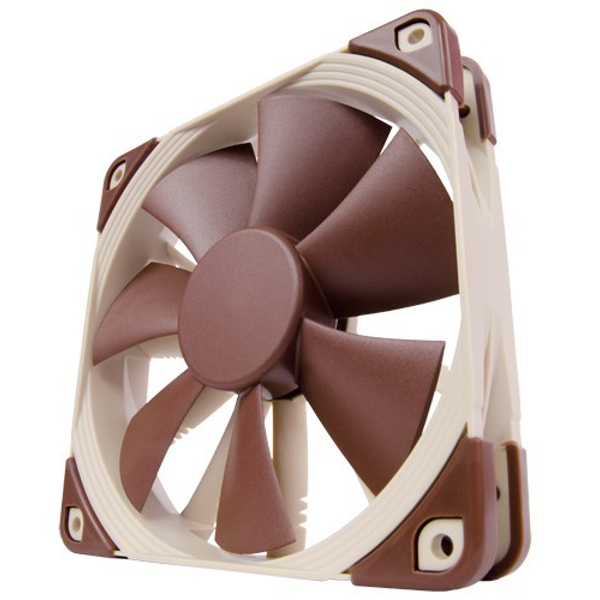 The NF-F12 comes with modular cabling, integrated anti-vibration pads and two speed settings for fullflexibility. 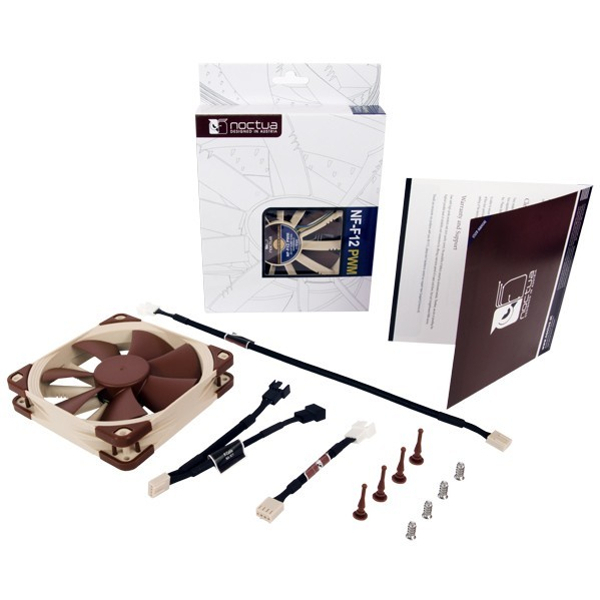 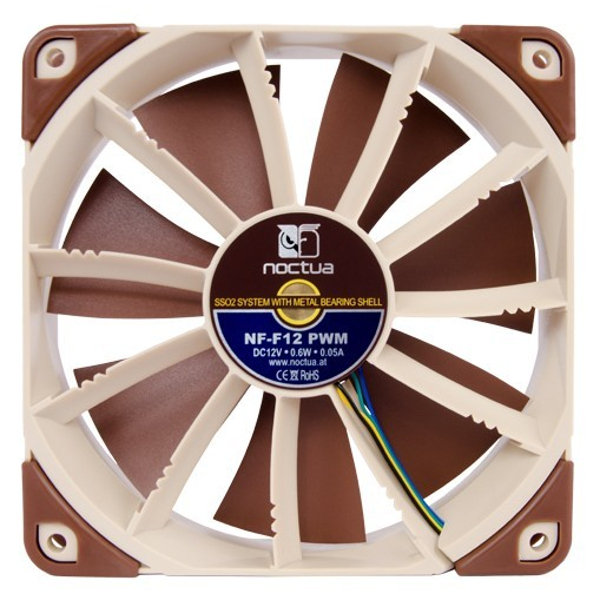 Its commanding performance, exhaustive set of features and Noctua’s trusted premium quality make it an elitechoice for use on air coolers, radiators and other pressure demanding applications.